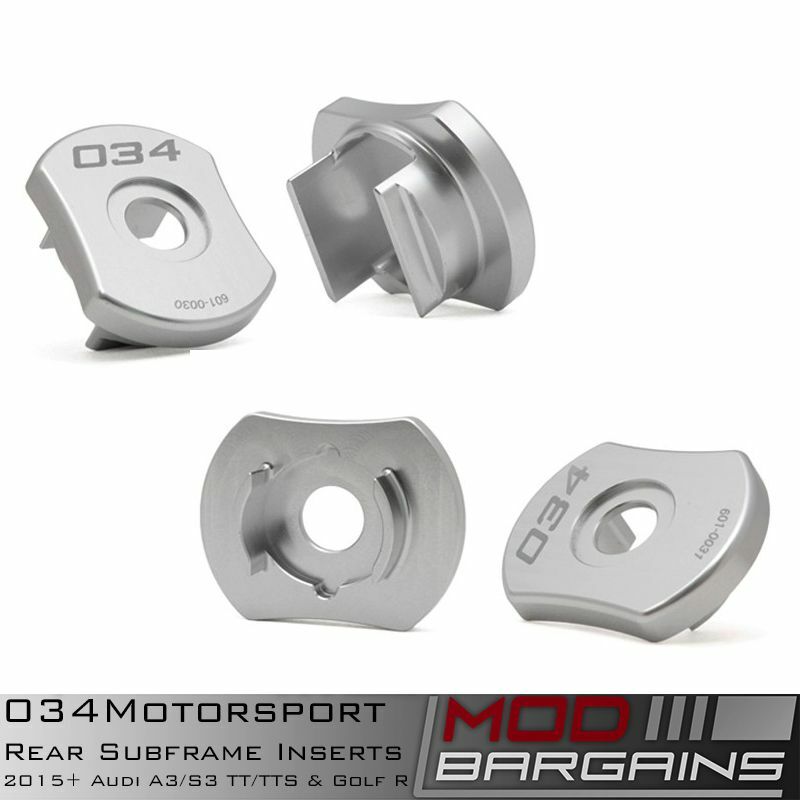 Designed to outperform and out live the original OEM mounts. 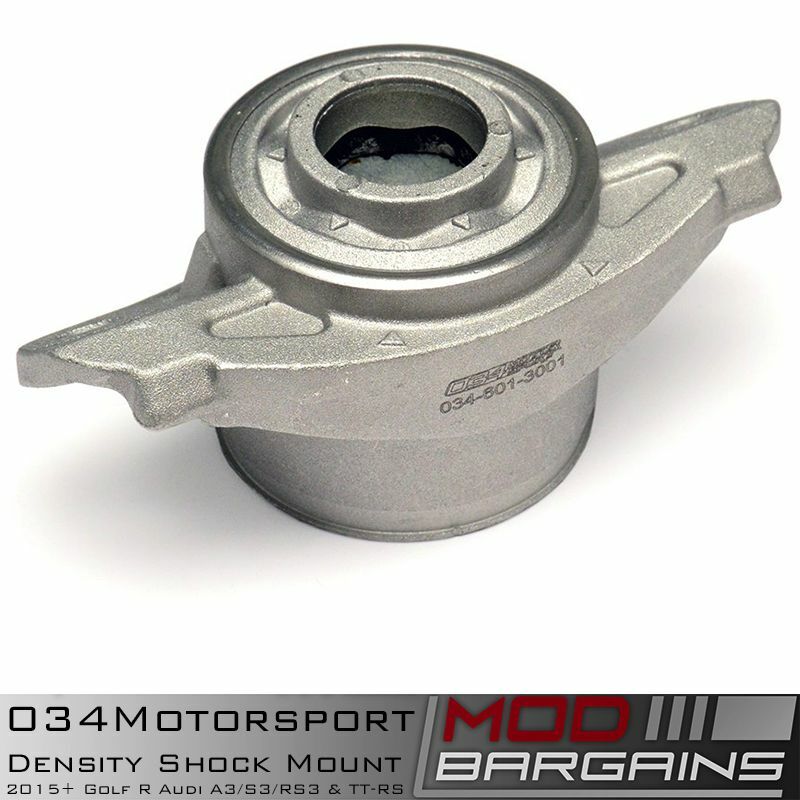 034Motorsports Density Line of engine mounts are the Go-To upgrade or replacement for your 2015+ A3 or Golf based vehicle. 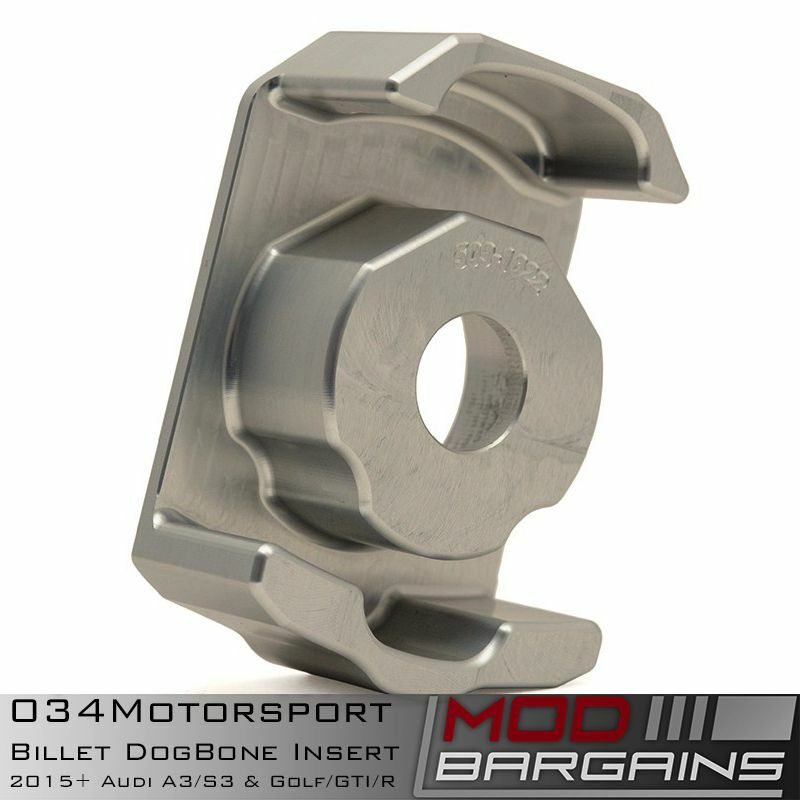 Offering 25% increase in stiffness over the factory mounts with durability and longer service life vs the original mounts. 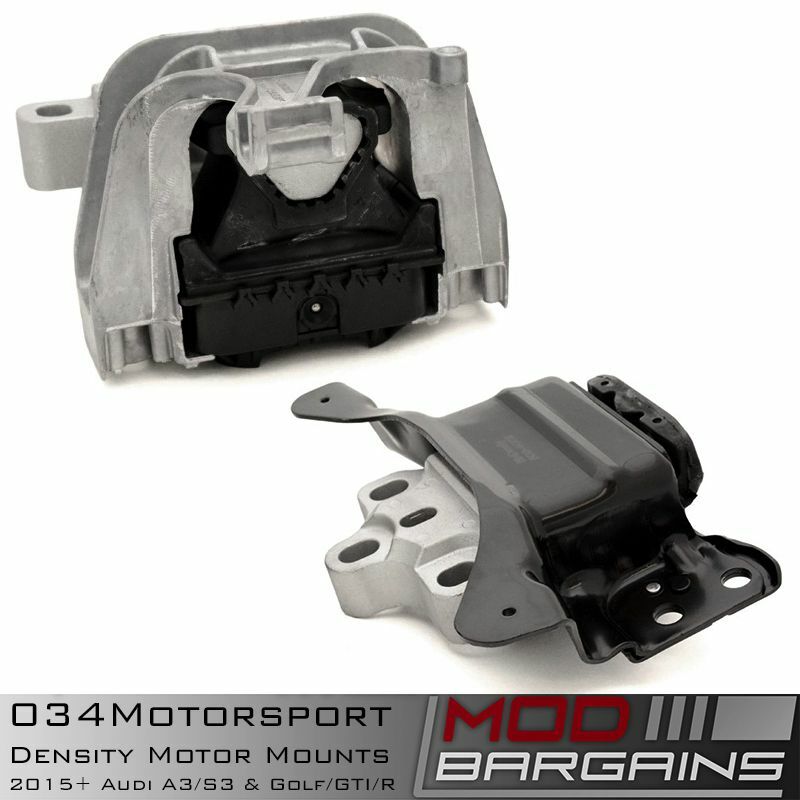 The OEM mounts use a fluid filled chamber inside the rubber, these bladders are prone to leakage and failure over time. Causing not only a mess inside your engine bay, but knocking and rattling due to the failed mount. 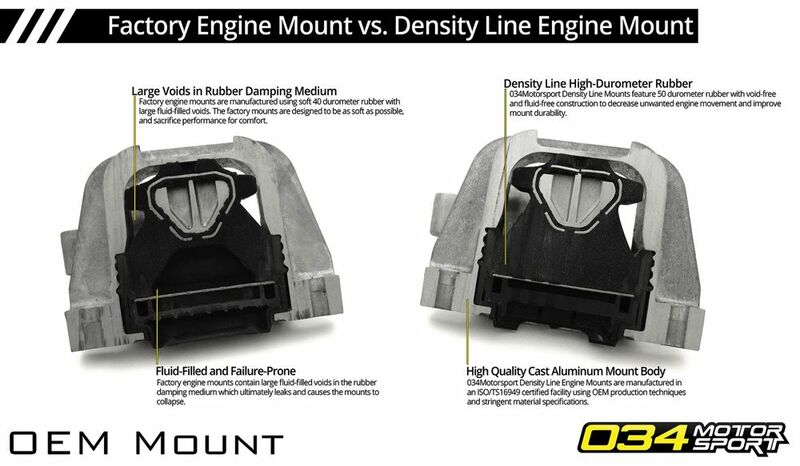 034Motorsports Density line are filled with 60 Durometer rubber offering tighter more responsive engine feel while maintaining a rattle free driving experience.